Held once each generation and attended by the greatest mages in the world, the Auction offered a prize of incredible power to the winner. But, what happened to those bidders whose offers didn't meet the final price? Valerie Lancaster had no desire to attend the Auction. But when her father was murdered for his invitation, she knew she had to go to find his killer - and keep from being slain herself. 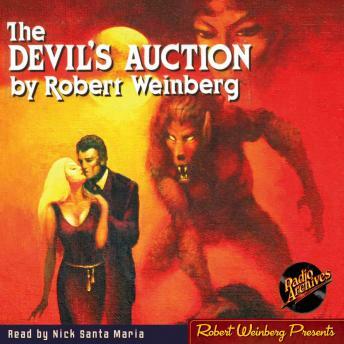 It's the Devil's Auction. Accompanied by her father's friend, Alex Warner, Valerie found herself confronted by werewolves, golems and the most powerful sorcerers in the world. But none of them prepared her for the final, shocking secret of the Devil's Auction.